따뜻한 마음을 가진 Fortaleza City Center에 있는 마리나 파크 호텔 숙박시설은 포르탈레자 여행 중 둘러보기에 가장 알맞은 곳에 있습니다. 이곳에서 생생한 도시의 모든것을 쉽게 즐기실 수 있습니다. 모험을 즐기신다면, 무세우 드 아트 에 문화 파퓰러, 무세우 도 세아라, 티트로 조세 드 알랭카 같은 다양한 명소를 제공하고 있습니다. 마리나 파크 호텔에서 훌륭한 서비스와 우수한 시설이 잊을 수 없는 여행이 될겁니다. 호텔에는 최고의 특색을 가진 24시간 프런트 데스크, 장애인용 편의시설, 여행 가방 보관, 발렛 파킹, 룸 서비스도 있습니다. 마리나 파크 호텔 고유의 분위기가 모든 객실에 반영되어 있습니다. 또한, 에어컨, 모닝콜 서비스, 책상, 미니 바, 알람시계 등이 대부분의 객실 내에 구비가 되어 있습니다. 호텔은 헬스장, 사우나, 실외 수영장, 낚시, 마사지 같은 멋진 레크레이션 시설을 제공하며 잊을 수 없는 추억을 만드실 수 있습니다. 마리나 파크 호텔의 전문적인 서비스와 다양한 특징의 매력적인 조합을 발견하실 수 있습니다. Great place to stay. Swimming pool area and rooms have been updated in the SoBe Miami style. the room is quite large but sparsely furnished. rooms have a sea view. the pool area is well kept and the bar staff do a great job though not many speak english but will try their best to serve you ! i received a free upgrade to a ocean facing room, which was beuatiful - the room was quite spacious, but the wardrobe doors needed maintenance. for the amount i paid, i was more than happy with my stay here and i would stay here again. for fortaleza's standards, this hotel is quite classy and is very near to all the city's night spots and beaches - though i would recommend taking a taxi at night for safety reasons. there seemed to a 'festa' going on every day, and with the music at the pool, there is a definitely a party atmosphere about the hotel - the staff aren't necessarily that well trained or speak english in the bar areas, but that is common in brazil - though things are going to change as the country knows it has to attract more foreign visitors. the reception staff are professional and do try to speak english - so no complaints about the service. the hotel has some wonderful, colourful gardens/grounds and even the 'retro feel' of the hotel grows on you after a few days. a perfect choice if you are like me and prefer a good pool scene to beach, and a great place for kids. It´s not a 5 stars. Would classify 3 stars needing maintenance. The TV was bad, the room phones were sticked with some sort of tape, the air conditioning was extremely noise and I had a company of some cockroach. What else is need to NOT indicate a hotel? we liked the breakfast, shower, the view, swimming pool and poolside cafe. The staff were friendly and polite. The shuttle to the beach and shopping center was great. We enjoyed our nine days staying in Marina Park Hotel. The hotel is very lively with a lot activities. 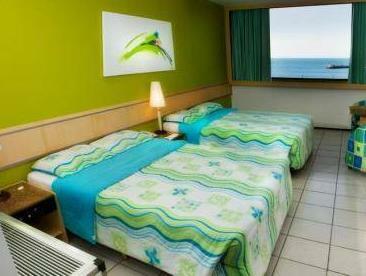 All rooms have the ocean view. The shuttle service is a convenient way to go to prala do futuro which is a beautiful beach with nice restaurants and Flea Market on Beira Mar. Overall we a very pleasant stay at Marina Park hotel. Nice sea front position. Nice leasure area with large swimmingpool and sport facilities. The five star rating does not correspond to the actual facilities especially the rooms. The hotel rooms are old, with cheap furniture and scant decoration. This hotel needs serious refurbishing. The service level is problematic. Communication between departments is poor. The wifi internet does not work in the rooms. The breakfast is cheap when considering the hotel wannabe rating. I was at this hotel for more then a week. The general room condition is poor. It is clear that the owners do not invest in the facility and do not know how to manage an hotel. I was waken up for three days in a raw by work in progress in the room next to mine. I had to complain with the director to stop the noise and still on the third day the loud noise continued. I had to change room to have the internet working and still it was not working. I had to call the reception desk several times for simple things and the staff was not coming. 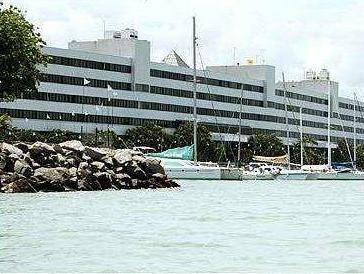 Located close to downtown Fortaleza, a huge and comfortable place to stay. We love staying at this hotel as the room was big and cozy, clean and well air conditioned. Breakfast very well supplied, lots of fruit and healthy stuff. Swimming pool is as big as everything at the hotel, close to a Marina that makes the place catching a lot from the sea right next to. The hotel staff was always friendly and willing to be of a help. Pour un hotel de 5 etoiles je suis vraiment decu car la chambre etait vraiment sale rien n avoir avec un hotel 5 etoiles le petit dejeuner rien de special. je deconseille fortement cette hotel car il n a rien avec un hotel 5 etoiles j ai etait fortement decu... je vous pris de me croire hotel vieux...pres de favella...si vous fete le deplacement bon courage. Un bon accueil un bon suivi des clients tres peu parlent le francais le buffet aurait gagne a etre un peu plus diversifie chaque jour. Les jus de fruits etaient excellents presses du matin.l hotel se situe pres des favellas et il est deconseille par les gardiens de quitter l hotel a pied il est proche du marche central. O hotel tem uma estrutura de lazer adequada para famílias com crianças pequenas e/ou adolescentes. Possui kids clubs para crianças menores, salão de jogos, piscina boa. Apesar de ficar distante da beira-mar o hotel oferece transporte gratuito para beira-mar e praia do futuro. Os quartos são velhos e precisam de uma reforma e mobília nova. Para quem quer sossego é bom se informar sobre os shows que acontecem no hotel ou no Mucuripe Club que é uma danceteria que fica ao lado do hotel, pois em casos de show o barulho com certeza irá incomodar. Quando viajo para Fortaleza com meus filhos costumo me hospedar no Marina devido à área de lazer que contém um kids club para crianças menores, além da excelente piscina, quadras de tênis e, dependendo da época, atividades recreativas. O hotel oferece transporte gratuito para a av. beira-mar e praia do futuro. Precisa de uma reforma, pois é bem antigo e pra quem gosta de sossego, é melhor se informar sobre shows tanto no hotel quanto na Mucuripe Club, que é uma danceteria que fica ao lado do hotel. Nos dias de shows o barulho é bem alto. Enfim, recomendo para quem precisa de espaço de lazer. Tudo de bom. Descansamos muito, fomos muito bem recepcionados e ótimo café da manhã. 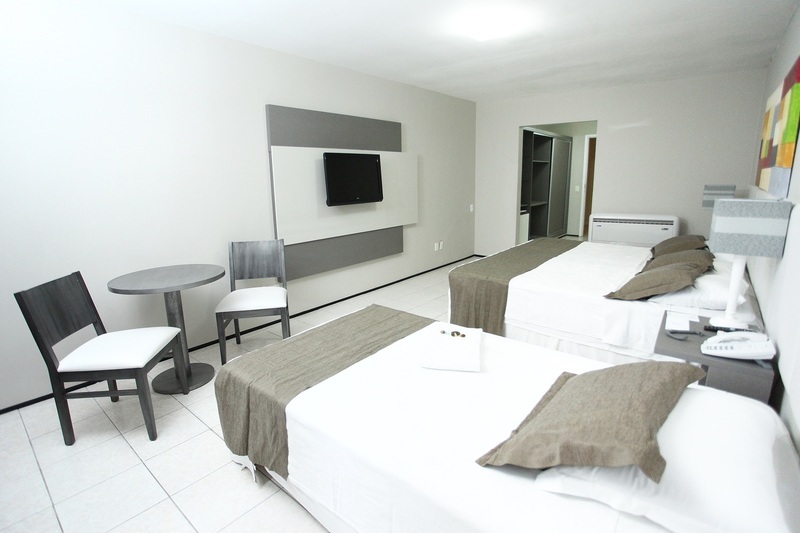 Hotel com excelente localização, piscina deslumbrande, cenário de hollywood, acomodações muito boas, cama, banheira na suite, e um café da manhã de excelente qualidade, sendo muito bem atendidos pelas pessoas que trabalham no hotel. Correspondendo em 200% nossa expectaiva, arrisco a dizer ainda, que foi o melhor hotel em quu já estivemos por 10 dias. O Hotel tem uma vista maravilhosa para o mar, tem uma estrutura grande com direito a brinquedoteca, casa de cha e uma piscina maravilhosa. A decoração do quarto precisa de uma repaginada, e o café da manhã tbm pode melhorar bastante. O Marina é um hotel bastante tradicional em Fortaleza e oferece praticamente tudo o que uma família em férias precisa, além disso tem excelente infra-estrutura para eventos. A minha mãe estava fazendo aniversário durante a nossa estadia no hotel e com ajuda dos funcionários foi possível organizar uma recepção na casa de chá do Marina em vinte minutos. Falta de diversidade de opções cardápio café da manhã. O marina park hotel possui uma área de lazer muito ampla, com uma ótima piscina, restaurante e quartos muito confortáveis. A vista também é excelente e o hotel dispõe de ótima opção de recepcionar eventos.